I didn’t plan to post tonight, I just got home, but I had a few things to share with you. First things first – We are doing a giveaway, Ms. Blakemore and myself will give a free copy of “The Heroine’s Bookshelf” to one winner who tells us who their favorite heroine is and why. So reach me on here, on Twitter at @BooksFrMyCloset and on Facebook at Books From My Closet and tell me! Secondly, reading Ms. Blakemore’s book the last couple of days and learning a bit more about my own favorite heroines I’ve realized as I assume most of you already know about our favorite writers is that we are all human. All of us have our daily struggles, worries, our happiness and none of us are exempt from that not even the women who have broken the mold and remain a part of our literary lives forever. I always think these women lived harder lives, and I am sure they did, they had to manage households and rarely got any credit and if they dared to set out on their own and be an individual they were subject of scandal. Today women, whether you are a writer or not, have to wake up every day and show up for our own life story. So that later we have something to tell. Our struggles, our happiness are all part of our story that may be worth telling someday. When I was a child I honestly wanted to live Laura Ingalls Wilder’s life. I wanted a man just like Almanzo Wilder come pick me up in horse drawn carriage, I must have read “These Happy Golden Years” several times just so I could re-live every moment of her love story, (I was always a romantic). My other heroine was Louisa May Alcott, I loved “Little Women” so much, I felt I could relate to Jo March’s character in so many ways. I often hoped she would end up with Laurie myself. 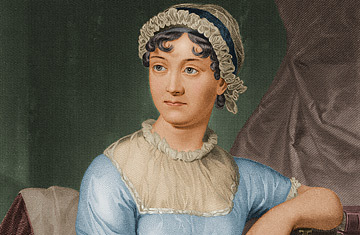 When I first saw the movie “Becoming Jane” the story of Jane Austen, I related to her as well, not wanting to conform to what is being demanded of me, I loved that she was a bit awkward, a “height above the company” as Tom Lefroy told her. I loved that she was a bit of elitist, from the way the movie portrayed her, she was all together different. I loved that. I am not anywhere near being close to these heroines, I get up every day and go to work like everyone else, deal with family and financial obligations just like everyone else. It’s difficult to consider myself as any kind of heroine.